Welcome to autumn in New England! 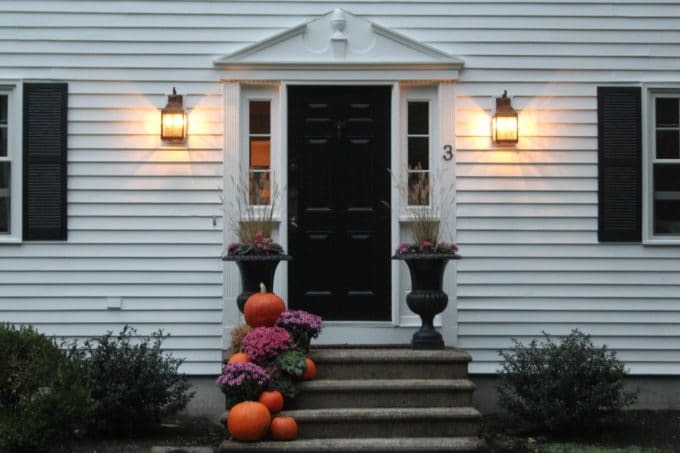 Today I’m thrilled to be joining a fun group of bloggers to share our fall front porches. 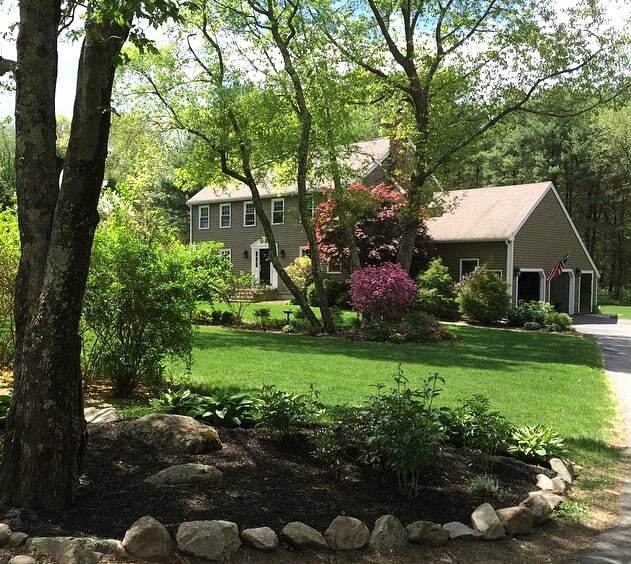 My family lives in a quiet little town in Massachusetts, about halfway between Boston and Providence, Rhode Island. 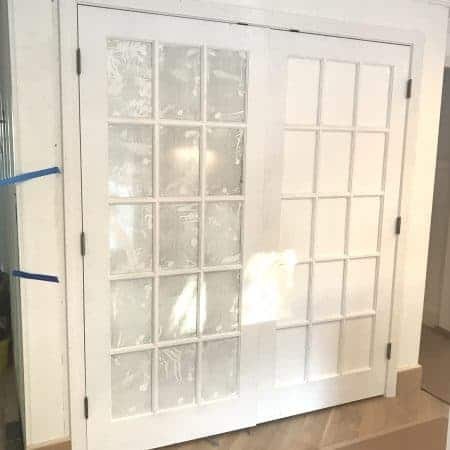 Seven years ago we bought a standard colonial “project house” that needed lots of typical 30-year old updates, and we’ve been slowly working on it since the day we moved in. One of the big things on our house bucket list was having the house painted and we finally did that this year. After years of debating the new color, at the last minute I decided on the classic New England white with black shutters and we love it! My decorating philosophy is to make the most of what you’ve got. Don’t wait for the day that your corner of the world is totally renovated/redecorated/bigger/better/more beautiful to love your home and your life because WHO KNOWS what the next day will bring! 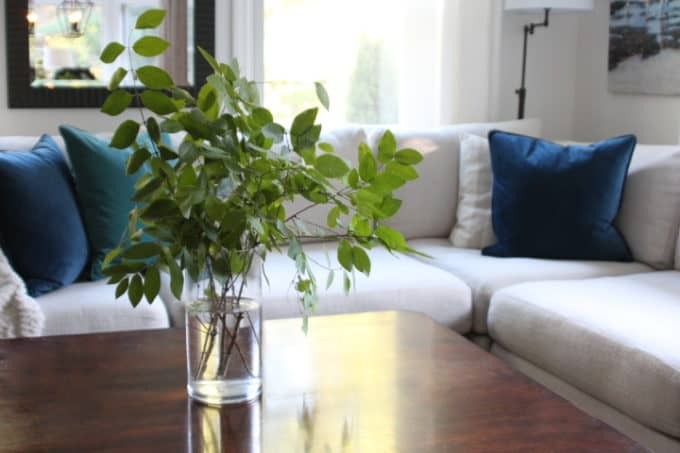 I’m learning to have not only patience for renovating, but also a greater sense of gratitude and enjoyment of the process with each passing year. The crumbling cast concrete front steps are original to our house and their wrought iron railings were rusting out at their base – I was thrilled when one of them literally fell right out into the bushes, and the other came out with just a little coaxing :). We planned to clad the concrete in bluestone and stone veneer like this post from This Old House. It turns out our crumbling steps have also pulled away from the house and sunk a bit, so we’re going to replace them altogether and while we’re at it, make the steps wider. In preparation for the new, wider steps, we recently pulled out and relocated some shrubs, and now the front of our house looks pretty desolate. 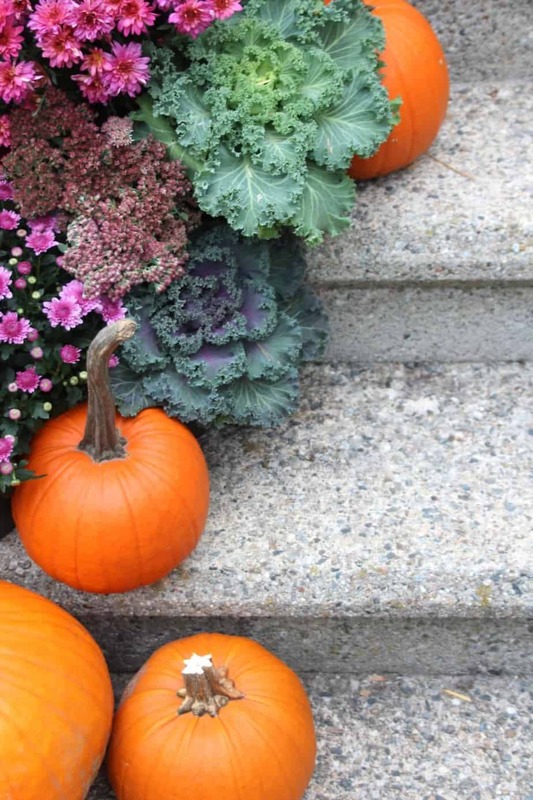 The sad, crumbling old steps were just begging for a pop of color and a bit of cheer this fall! And thankfully, Mother Nature came to the rescue with her most glorious autumn shades. 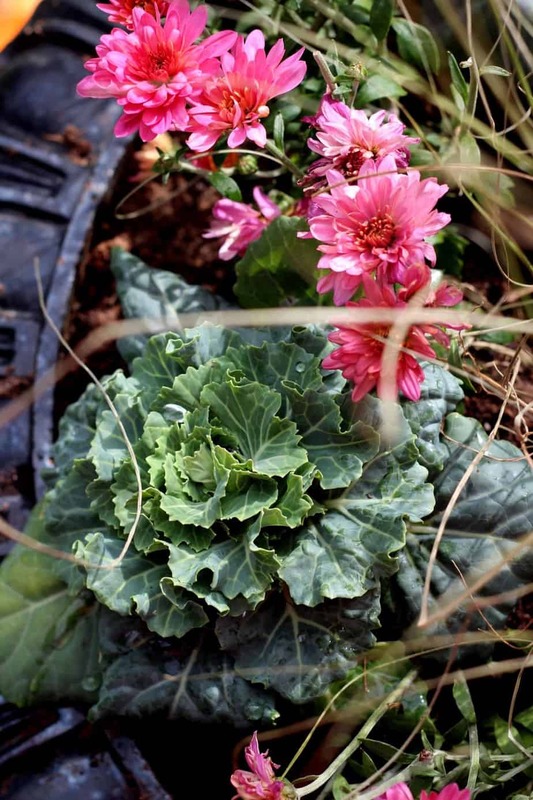 Ever since my friend @sixtyfifthavenue Instastoried about her gorgeous fall planters I’ve been slightly obsessed with finding some mini-kale plants. 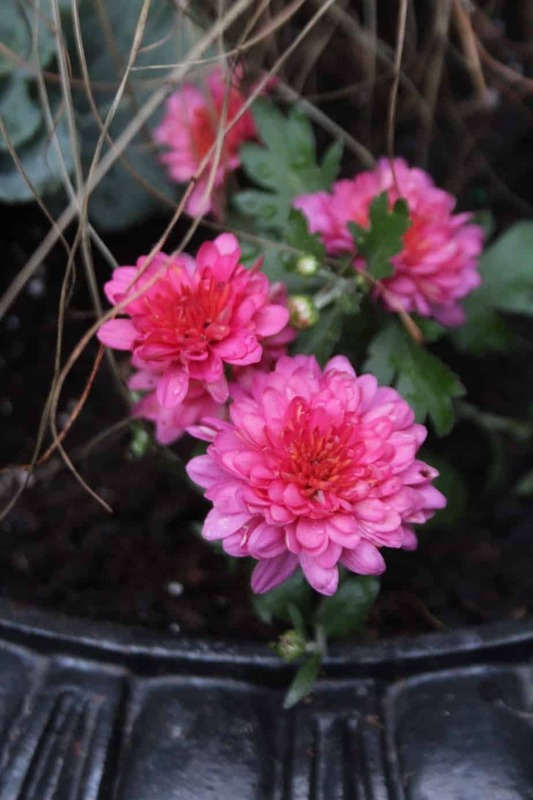 They are the perfect compliment to mums and wild and crazy ornamental grasses in fall planters. I love the curly edges and how the water droplets cling to them! I emulated the look of a large and spendy Frontgate-style coir mat with two Target mats that I duct-taped together on the bottom. The pattern doesn’t match up perfectly, but it’s close enough for me! 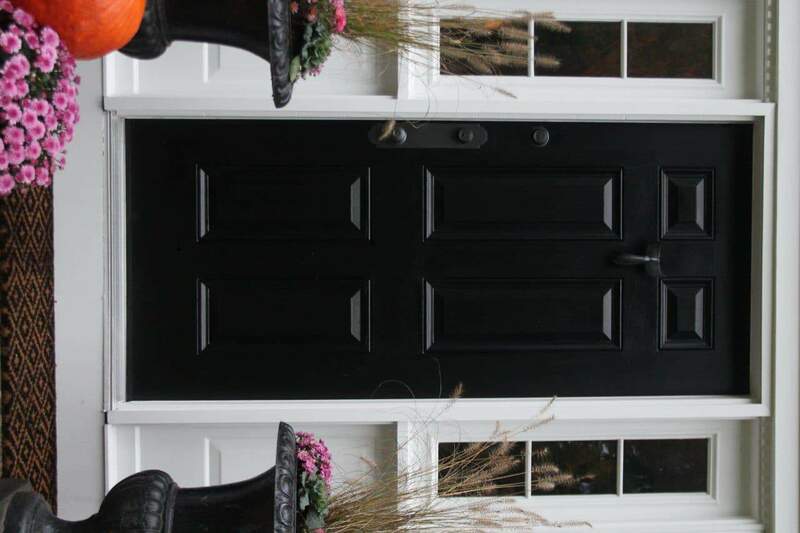 Our front door hardware was so worn out and sad when we moved here, so long ago I painted it with brushed nickel spray paint until the day we replaced the door…….seven years later……..we’re still rocking the same door and spray painted hardware. I just gave it a fresh coat of black spray paint and I love how it all kind of disappears now! And these bright colors are pretty good at distracting the eye! I’m so glad you stopped by our humble abode for a fall front “porch” visit! 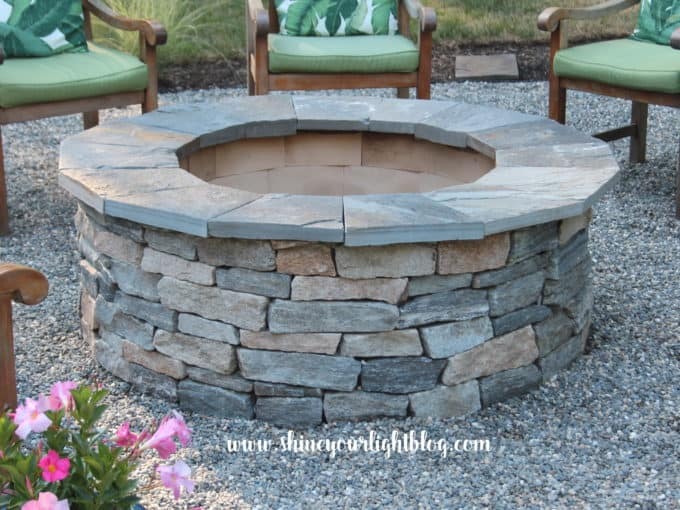 While you’re here check out the pea stone patio and stone-veneered fire pit I built in the back yard……. or come on in and chat for a while! 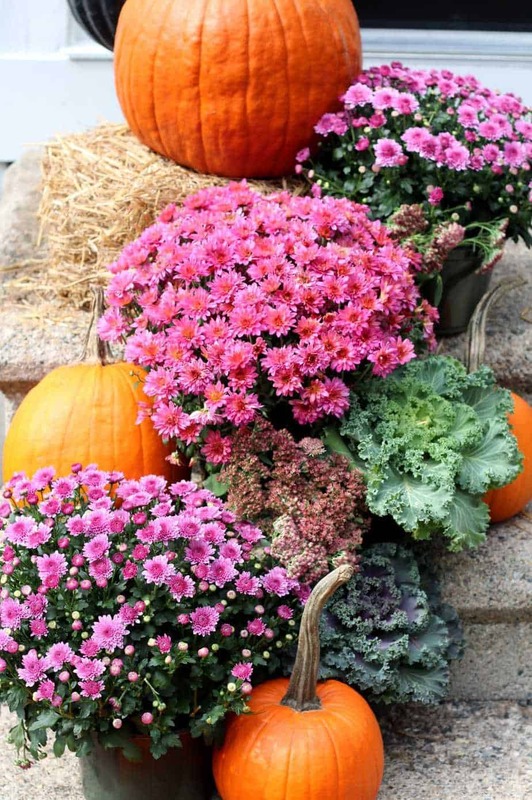 Don’t miss all these beautiful fall porches too! 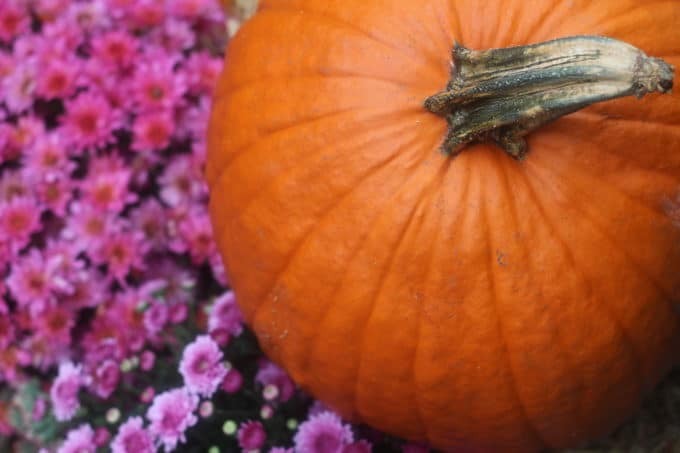 Special thanks to Dawn at Creative Cain Cabin for putting together this fun fall porch tour, and happy week ahead to all! it looks beautiful! love the purple mums! mine are all orange and yellow because i am cheap and that’s what costco had. but i generally love to buy the purple! Cassie that’s me too with the mums (and pumpkins! )…..I picked them up here and there wherever they were cheap…..I could not find hot pink ones to save my life but the purple are pretty! 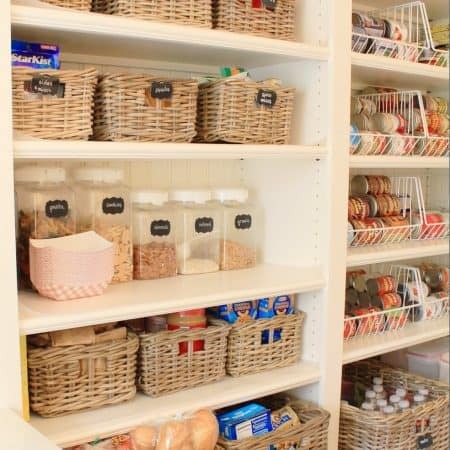 Lisa your home is gorgeous! I love the colors you painted it and your motto of enjoying every minute even though it may not be finished! So true and such a good reminder that we never know what tomorrow will bring! I loved your bright colors and Blackburn’s! So well done! Kelly sometimes I have to remind myself to look at all the beauty and good things around me rather than only seeing what needs to be done in this house-in-constant-progress 🙂 Loved your tour and it was so fun doing this with you! 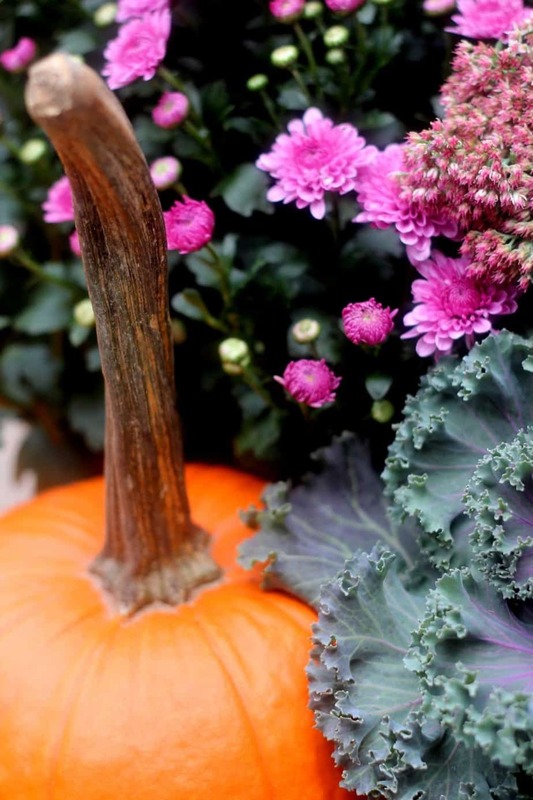 Love how you paired the orange pumpkins with the pink mums and kale. The perfect combination! 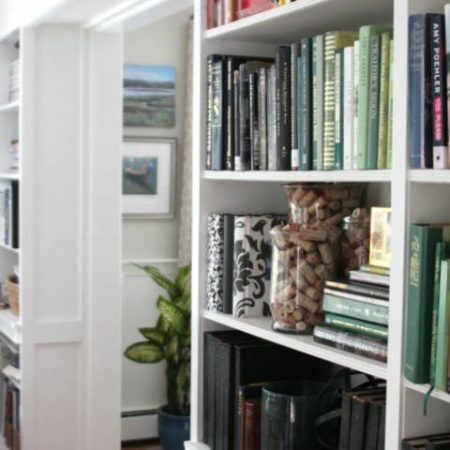 I adore your house – so classic and beautiful and a wonderful New England setting. Lisa, your front porch is gorgeous. I love the pops of purples/pinks. And, while I know the steps are becoming more of a hazard I do love the old charm. And yes, I love browsing Londen’s insta feed!! Dawn thanks so much for putting this tour together! It was so much fun to join you ladies and see everyone’s pretty porches and spaces! I love the purple and orange! Your pics are just gorgeous. A perfect fall porch! Thank you Stacey! So much fun joining you for this! i love how you did it only on one side more Lisa!!! Beautiful and fall-perfect! Our steps are not wide enough to do much on both sides so grouping everything en masse worked out perfectly. Thanks for stopping by Vel! Your porch is gorgeous Lisa!!!! I love every beautiful little detail. You are so sweet, thanks Jessica! Gorgeous, Lisa!! There are always projects to be done when you own a house, no doubt…but isn’t it the best feeling to own the home you live in? All that color looks fab against the new paint, what a warm welcome! Thanks so much Debbie! Yes there will always be a project to do but I’m oh so grateful for this roof over our heads…..especially lately with so many people losing their homes via the hurricanes and fires! Our houses could be twins… Or cousins, at least! I love your motto of decorating where you’re at. We are trying to do that over here, too! 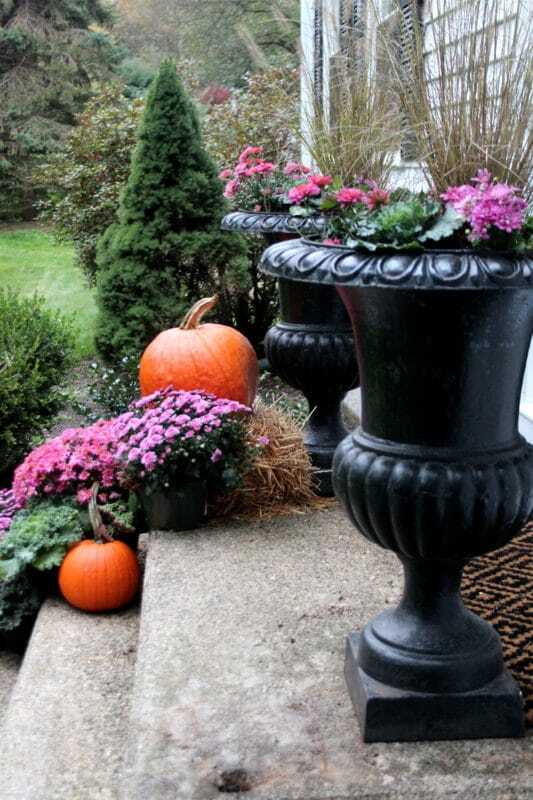 Your planters, pumpkins and plants are simply gorgeous! 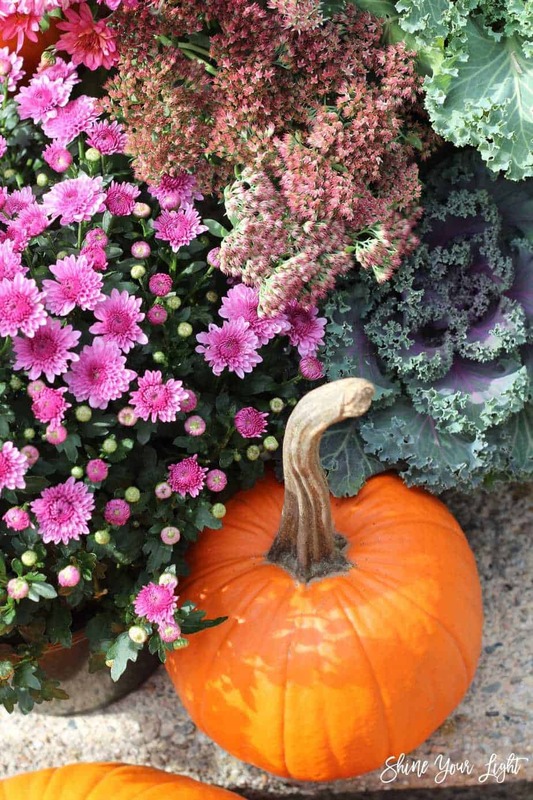 The purple mums are my favorite! 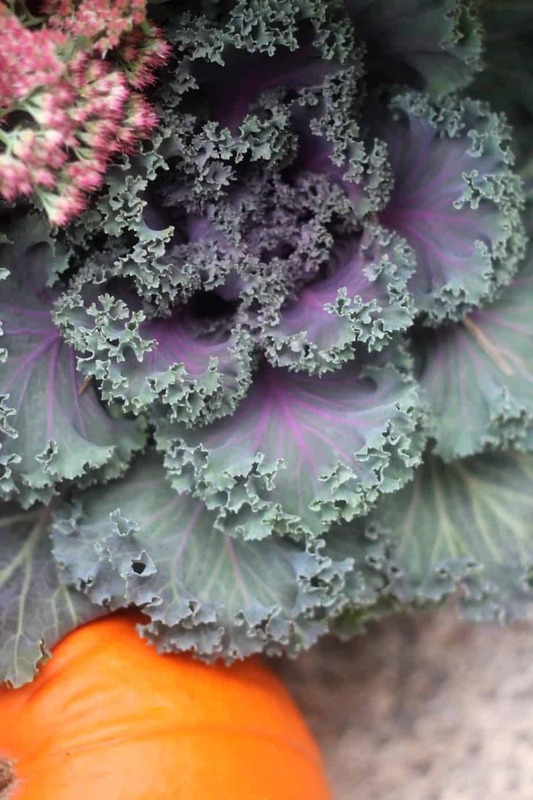 And the baby kale is so cute! 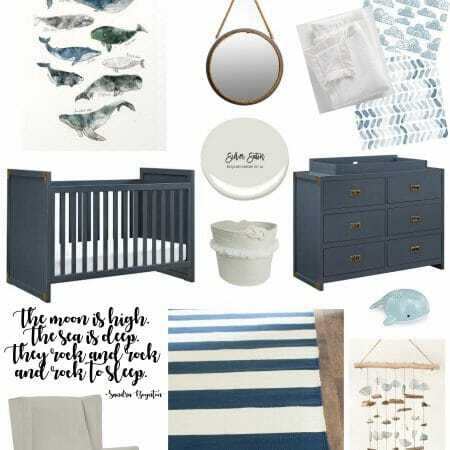 I love how you put everything together on one side, it makes a big statement! Thanks so much Dara! Our stairs are not very wide so grouping everything together actually gives people room to walk up them. Sometimes I allow a little function to creep in around here 🙂 So fun doing this tour with you! Love the colors you chose, everything looks gorgeous! And I agree about not waiting for things to be finished and perfect to enjoy. We have matching concrete steps complete with the rusty hole where the railings were. One day we will cover or replace.